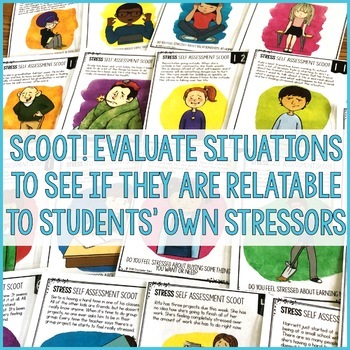 Stress Self-Assessment: Help your students better understand their own stress levels with this stress self-assessment scoot activity. Students will rotate around the room to read 18 scenarios. 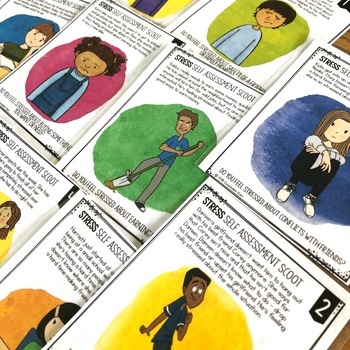 Students will decide if these scenarios are relatable to their own lives to determine if their stressors are most related to school, relationships, home, health, safety, or finances. 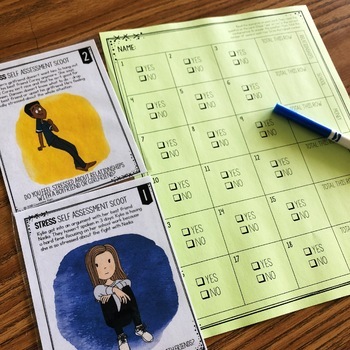 Then, students will evaluate their current coping strategies to determine if their stress management skills are serving them well or not. This serves as a jumping off point to learn positive stress management strategies in future lessons! 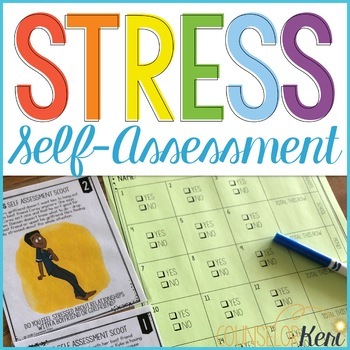 This is perfect for an introductory stress management classroom guidance lesson or small group counseling activity to learn more about personal stress levels. Please Note: This will be included in a Stress Management Bundle coming soon.